Around 8,000 sugarcane farmers ended their day-long protest in Pune late Monday night following an assurance from the Cane Commissioner that immediate action would be taken against mills that defaulted on arrears. Industry sources said these farmers, under the banner of Swabhimani Shetkari Sanghatana led by Member of Parliament Raju Shetti, gathered before the Cane Commissioner’s office Monday morning, seeking immediate intervention under the law. The protest ended with sporadic violence after the commissioner assured them that action against the defaulting mills would start on Tuesday. “Out of 170-odd operational mills spread across the state, 39 haven't even paid a penny since the start of the current crushing season on October 1, 2018, despite having procured tonnes of cane from farmers. Many operational mills have, in fact, paid 20-30 per cent of cane dues. These mills are expecting a new sugar package from the government and are therefore not releasing cane payment. We called off the protest after the cane commissioner assured us on immediate action against such mills,” said Yogesh Pande, Spokesperson, Swabhimani Shetkari Sanghatana. 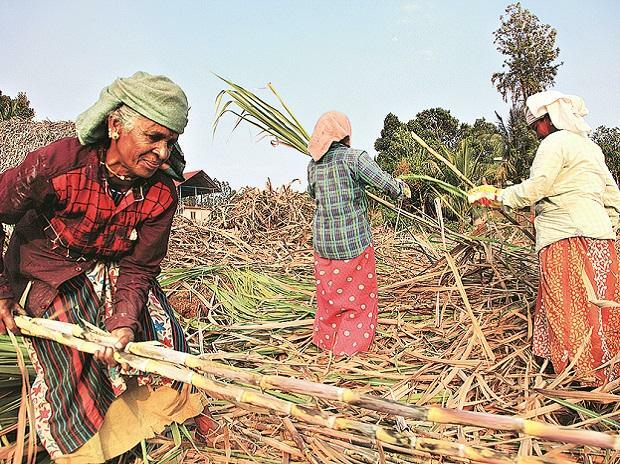 According to industry sources, total cane arrears stand at Rs 5,600 crore in Maharashtra despite the prevalence of a policy of paying a substantial portion of the Fair and Remunerative Price (FRP) of sugarcane upfront to farmers. Sources said that the condition of Maharashtra's farmers has deteriorated due to such massive arrears. Attempts to reach Sugar Commissioner Shekhar Gaikwad did not bear fruit. Cane arrears across the country are estimated at Rs 19,000 crore. Meanwhile, informed sources said that Gaikwad has already started issuing advisories to district collectors to initiate action, including legal proceedings, against wilful defaulters. As per the commitment made to the farmers, some 35-40 such advisories will be issued. “Under the law, the sugar commissioner would consider the cane dues as government dues under the Revenue Recovery Certificate (RRC), which will allow a district magistrate to even seize existing stocks of sugar and attach mill owners' properties till they clear dues,” said Pande.